OK, so your cruise countdown is on. You’ve paid up and checked in online. Check. Your plane seat is awaiting you. Check. Now all you have to do is plan for your excursions and pack. That’s all. But when you sit down to figure out those days ashore, you’re suddenly acutely aware that you have no idea which is the best way to spend those precious few hours off the ship. You know you want to get the most out of it because, well, you might not return to this particular port ever again. And, then there’s the packing. What exactly is included, what can and can’t you take on the ships, and what am I not thinking of that I might need? No worries, this seasoned traveler (and cruiser) is here to help. I’ve done all the research – and have sometimes learned the hard way – what to pack and not pack, and how to find the best excursions for less. 1. Always fly in the evening or night before your cruise departs. You may think it’ll be OK to arrive by plane by noon to hop on the boat by 3 p.m., but we’ve seen that go wrong for folks before. Their planes are delayed by bad weather or equipment malfunctions, then they don’t arrive in time to get on the boat. You don’t want to be these people. 2. Get a hotel somewhere near the cruise port, but anticipate you’ll likely have to take an Uber or cab to the port. The only port where we rolled our bags from the hotel onto the boat was in Seattle, and we paid a premium to get the nearby hotel. Save yourself the walk – and the high price tag – by getting something close, but not too close, that you can Uber right up to the curb the next morning. Before booking your hotel, make sure to read reviews about it on TripAdvisor to make sure it’s in a safe area, clean and the service is good. 3. Don’t fret if the hotel doesn’t have a shuttle to the port or airport. Use Uber! Uber is super easy and cheap. If you don’t already have it, download the app in advance of your trip. 1. Print out your cruise itinerary with the dates and times you’ll be in in port. Pay attention to whether the itinerary says you’ll be tendering into that port. If so, that means you’ll have to line up to get on smaller boats that will take you to the port. This could take a while in both getting off and back on the ship. 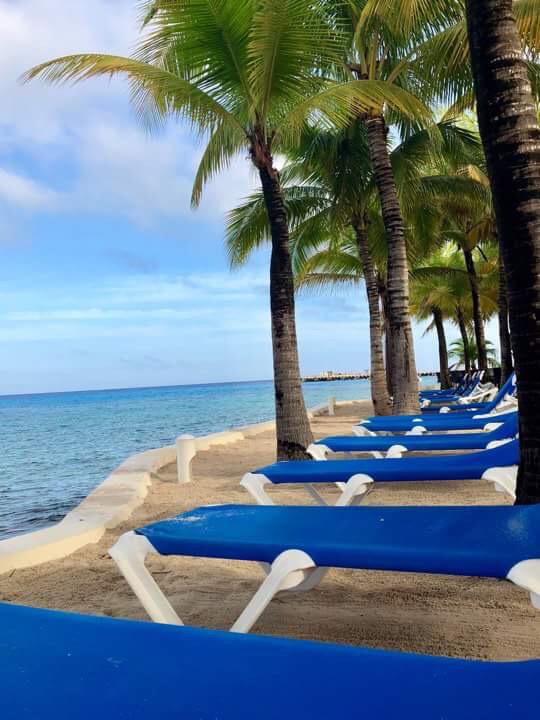 If you’re not tendering, you can anticipate that if the cruise docks at 9 a.m., you will be off the ship by 9:30 a.m.; and if the time in port is listed as 6 p.m., that you’ll need to be back on your ship by 5:30 p.m. Plan a half hour both ways. If you’re tendering, plan an hour both ways. 2. Discuss with your cruisemates what you are hoping to get out of each stop. Are they looking for adventure? Zip-lining, ATVing, hiking up mountains? Would they prefer to relax, perhaps soak up the sun at a beach? Is it the culture or history of the area they’re looking to explore? Are they animal lovers and can’t wait to snorkel with turtles or get up close and personal with dolphins? Once you learn what it is they’re (and you) are most interested in doing, go online to your cruise booking, and see what excursions are offered from the cruise line in each of these ports. Take notes on what appeals to you about these excursions. Pay attention also to the information about how long the excursions are and how strenuous they may be. 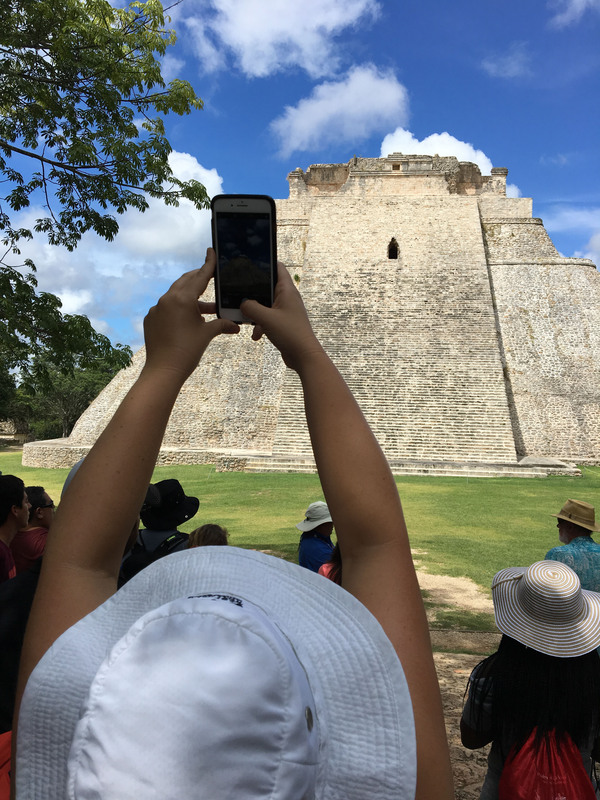 In Progresso, for instance, excursions include a variety of Mayan ruins and temples – Chichen Itza, Uxmal and some smaller ruins nearer the port. In Belize, excursions vary from cave tubing to private island snorkeling to river cruises to Mayan ruins. 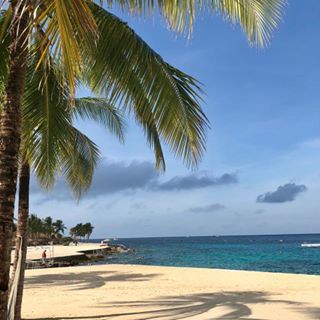 In Nassau, you could choose between a day at Atlantis’ water parks, dolphin and stingray encounters, or ultimate beach relaxation. In Juneau, you can go whale watching, gold mining or on a glacier and wildlife safari. The possibilities are endless, but you’ll be able to get a feel for the ports and what they have to offer based on the cruise line suggestions. Then, always check Trip Advisor to see what the best tours, beaches, and historic sites are for that port. 4. Consider going it alone. Cruise ship excursion prices are always much higher than if you find private tours or you’re your own activities by cab. Cruise lines often add the fear factor of going off-ship for excursions, though, by saying you may miss the boat. Unless it will take a while to get to your destination and your stop in the port is short, you will likely be just fine booking offline in advance, or playing it by ear once you get to your port. If you’re going to Chichen Itza, it’s a lengthy trip there and back. That’s one I’d suggest you go through the cruise ship excursions. But the others that are closer to port? Consider a local tour company or grabbing a taxi (always negotiating a price before you get in) to it. As long as you know where you want to go, there will always be taxis or shuttles available in port to get you there and back. 5. Why not the cruise ship excursions? They generally cost nearly double, you’ll line up like cattle at the beginning, then be packed like sardines onto a boat, bus or train for your excursion. And, in our experience, they are always rushed and have limited quality. For example, in Juneau, we went on our own with Harv & Marv’s Outback Adventures for whale watching and a stop at Mendenhall Glacier. Harv & Marv’s boats were either six- or 12-seater boats with nice hydraulic seats for handling the bumps with ease, and a great viewing platform up front and out back. By comparison, the boats our cruisemates got on had more than 100 people on them, and they were trying to elbow one another out of the way to see the whales, whereas our smaller boats stayed out longer, got closer, and we had plenty of arm space to see the whales. As soon as we got into the port, there was Harv & Marv’s van to pick up us and the six other people who signed up for the tour. We went on the 12-seater boat. We had a naturalist on board as well as the captain, and we were out cruising the mountain-edged bay for a good hour before the big boats from the cruise line were even spotted on the horizon. When we returned to the harbor, we caught the same van to the Mendenhall Glacier, where we had time to soak it in, get plenty of pictures, before being dropped off either in the city (town, really) of Juneau or back at the ship. Harv & Marv’s cost about 30 percent less than the ship’s excursions and, in our estimation, offered a better value and experience. Another example was in Roatan (or Mahogany Bay) in Honduras. Instead of packing onto huge catamarans with 100 other people from the ship to go snorkeling, we found Radical Adventures through Trip Advisor. We booked in advance with another couple, and arranged to be picked up just outside the port and a short 5-minute walk up a hill. A driver picked us up, and drove us in a van to the catamaran that was docked a short 15-minute drive away. It was just four of us and then the captain, his wife, a chef, and a couple of crew. We motored out to the coral reef, where we could hear the ocean crashing against the reef on the other side. We snorkeled the interior reef, which was well-protected and had the best, most alive coral and sea life. Our guide dove down to bring up live starfish and urchins for us to see or hold, then returned them where he found them. We are forever ruined to other snorkeling experiences because this was so incredible. We spent as long as we liked snorkeling in two spots, then climbed back aboard, rinsed off with fresh water, then settled in for a gourmet meal and snacks, as we motored back to the harbor. This excursion cost about 20 percent less than what the cruise line offered, and truly offered a personalized and intimate experience. 1. Read the rules of your cruise line. Cruise lines make their money off of beverages – both soft drinks and alcohol – so they prefer you don’t bring your own on board. They frequently provide glasses of water, lemonade and iced tea, as well as coffee and hot tea for free. Still, they usually allow you to bring a certain amount and kind aboard with you in your carryon (not checked baggage). Read the fine print of your cruise details. On a Carnival ship we recently went on, lots of folks took advantage of the ability to bring on a couple of 12-packs of soda cans on, or the one 750-ml bottle of wine or champagne. Bottles of water generally aren’t allowed any longer, but you can purchase them in advance from your cruise line and have them waiting for you in your stateroom on the first day. We advise at least one 12-pack of bottled water and two liters of bottled water per person as the ship’s desalinated water is likely to puff and bind you up because of its high sodium content. 2. Pack for the weather. This may seem like a silly thing to say, but there was a fella who went on an Alaskan cruise in summer with shorts and Hawaiian shirts. He didn’t look ahead at the weather, and really had only looked at a map of the U.S. and saw that Alaska was near Hawaii… and Hawaii is warm, so why not Alaska. This is a true story. If you’re going somewhere like Alaska or the Baltic Sea, you want to pack layers, preferably with synthetic and wool layers, not cotton. It may get warm during the day, and then chilly at night. Also pack and outer layer that is a windbreaker and also breathable waterproof. Hats, earmuffs, and gloves are also appropriate, depending on the day. If you’re going to the Caribbean or Mexico, shorts, capris, sun dresses, short-sleeve shirts and sandals are great. Make sure to pack nicer clothes – dresses, pantsuits, pants/button-down tops for the men – for the dining room in the evening. Most cruises have at least one elegant night, too, where you’ll see people in cocktail dresses and suits or tuxes. You don’t have to dress to the nines these nights, but you should look and feel well-dressed. 3. For ease of boarding, disembarkation and plane travel, pack light. Full disclosure: I’ve overpacked before. And it turned out to be a real pain in the behind, especially when I didn’t wear a third of what I’d packed. Plan on one medium or large (less than 50 pounds, though) suitcase per person, and maybe a small carryon. You can always have your steward do a load of laundry for you halfway through your cruise (or do self-laundry), and a lot of the synthetic clothing dries quickly, so you could wash it in your sink and hang to dry. Take an empty duffel bag in your luggage to fill with dirties so you can easily unpack when you get home, shuttling this bag right into the laundry room. You’re likely to come through your cruise just fine, but there’s a chance you or your companions may get ill, stung by a bee, blisters or cut. Start with prevention first. Take hand sanitizer with you, and use it after restroom use and before eating. Actuallly, use it anytime you think about it. Also, take a pack of Clorox wipes with you and wipe down every door handle, drawer handle, phone, TV remote, light switch, and any other surface you might touch in your cabin. Do this before you unpack. While there is a medical bay on every ship, and a ship gift shop with triple price cough drops, it’s best to come prepared. We always pack a first-aid kit that includes small amounts of the following: Immodium, Pepto-Bismol, Bonine, Dramamine Natural Ginger capsules, wrist acupressure bracelets, Benadryl, Xyrtec, Dayquil and Nyquil gel caps, cough and sore throat lozenges, alcohol prep pads, antibiotic ointment, anti-itch cortisone cream, a variety of Band-Aids, tweezers, bottle of aloe, roll of Ace bandage for sprained ankles. We’ve put it to use on nearly every cruise. 5. Plan for sun and bugs. Always pack sunscreen and bug spray. Pack more sunscreen than you think you’ll need, and then apply every morning, and reapply throughout the day and after swimming. This is especially the case for those of us whose skin doesn’t see the sun all that often. I prefer Australian Gold Botanical 50 SPF waterproof, sprayable sunscreen as it smells good, is easy on undersea wildlife, and doesn’t make my skin all greasy and gross. Consider Australian Gold Botanical Sunscreen face cream specially formulated for your noggin as well, to avoid breakouts. Sunhats are also helpful. You can pick these up in almost every port, but we prefer ours as they have under-chin strings to keep them in place even when the wind picks up. Likewise, if you’re going places where mosquitoes or biting flies are problematic, don’t be afraid to take bug spray along. You might just prevent you or your companions from getting Zika or an equally awful mosquito-borne disease. 6. These are the odds and ends that make life better. You might not think to bring these items, but we’ve found them to be super helpful. Packing tape (for putting your cruise ship tags on your luggage and for stuffing laundry in those super-thin laundry bags on the all-you-can-fit-in-the-bag laundry days. While this isn’t an all-inclusive list, it sure it a great start and has served us well! Feel free to comment with any other tips and tricks you’ve discovered! 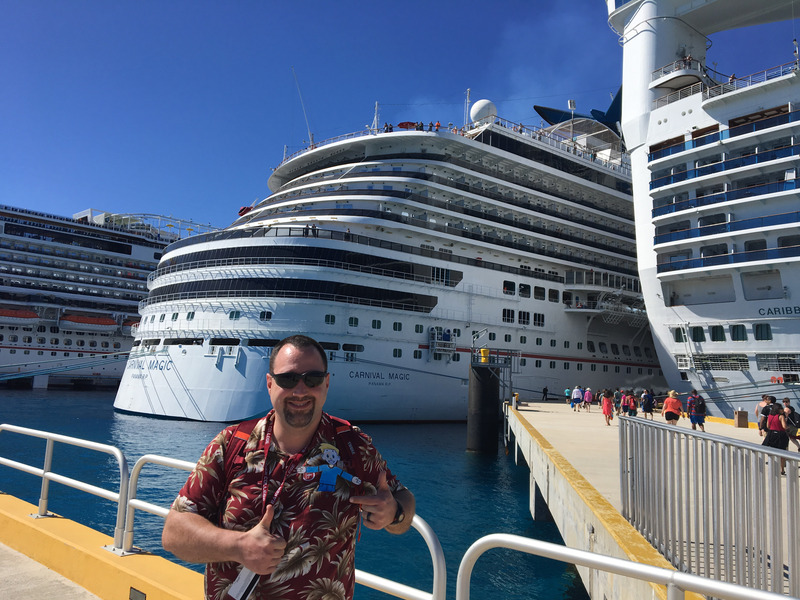 Tagged cruise, cruise excursions, cruise ship, cruising, packing lists, shore excursions, tips and tricks. Bookmark the permalink.